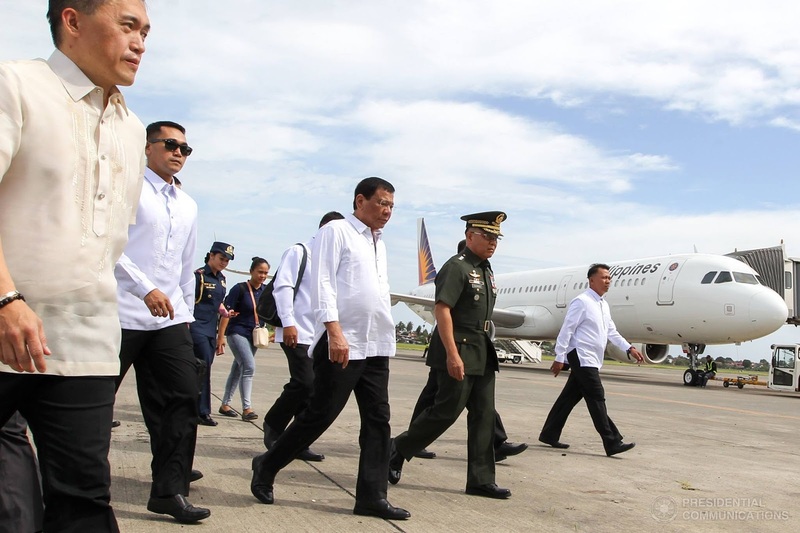 President Rody Duterte arrived at the Nay Pyi Taw International Airport to commence his official visit to the Republic of the Union of Myanmar on March 19, 2017. 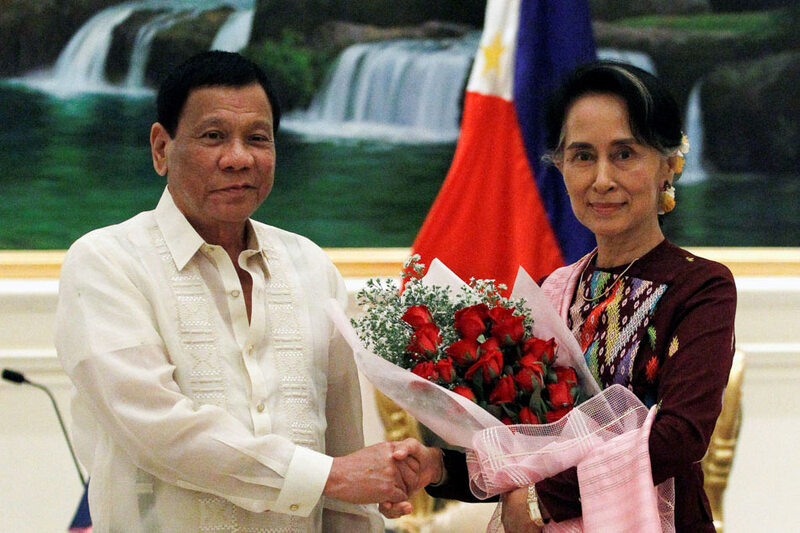 Philippine Ambassador to Myanmar Alex Chua and Defense and Armed Forces Attache Colonel Edgardo De Leon welcomed the President upon his arrival. 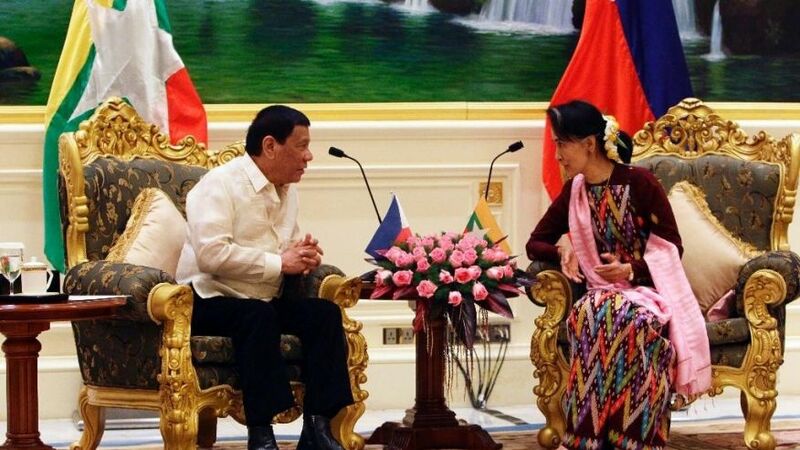 Myanmar officials were also present to greet the Chief Executive. 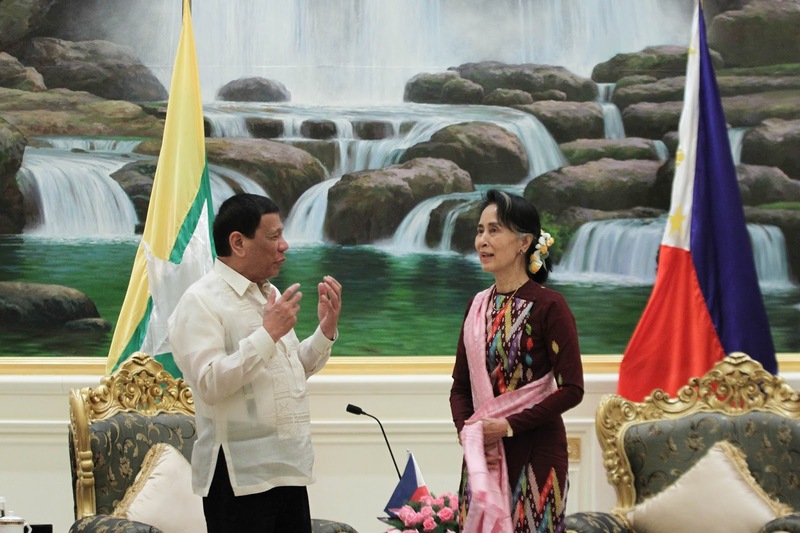 President Duterte's visit aims to further strengthen relations between the Philippines and Myanmar as the two countries recently celebrated the 60th anniversary of the establishment of bilateral relations. The trip will also focus on improving trade and investment relations. 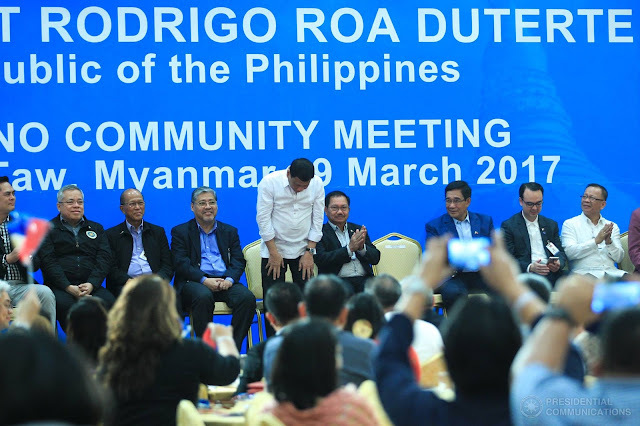 President Rody Duterte is honored by the leaders of Myanmar led by President U Htin Kyaw in a welcome ceremony at the Presidential Palace in Nay Pyi Taw on March 20, 2017. 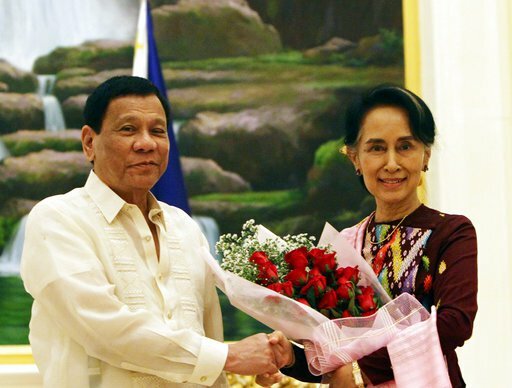 The President is on an official visit to the Republic of the Union of Myanmar as he rounds up his introductory visit within the Association of Southeast Asian Nations (ASEAN). More than 200 Filipinos traveled five (5) hours from Yangon going to Nay Pyi Taw to personally see President Rody Duterte in the Filipino community meeting on the first day of his official visit to the Republic of the Union of Myanmar on March 19, 2017. 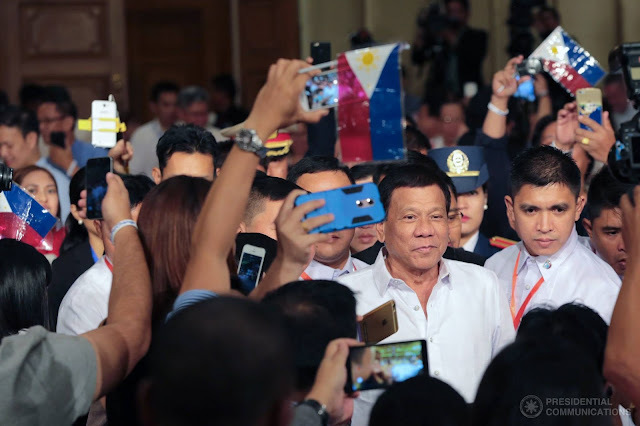 Majority of the Filipinos in Myanmar are based in Yangon and a good number of them immediately registered to participate in the Filipino community meeting upon learning the news from the Philippine Embassy in Yangon. 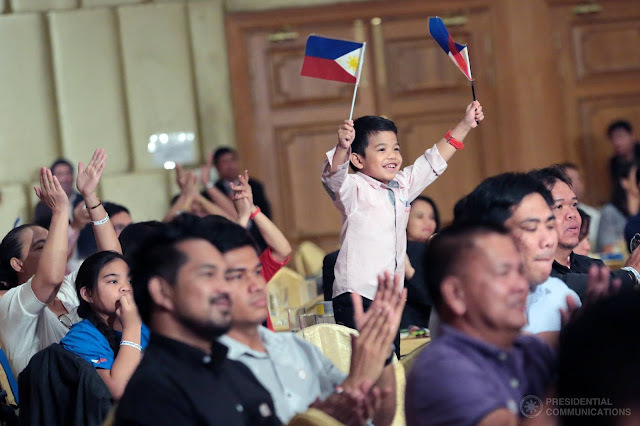 The President won in the Overseas Absentee Voting (OAV) in Myanmar, garnering 56% of the overseas Filipino votes in the May 2016 elections.